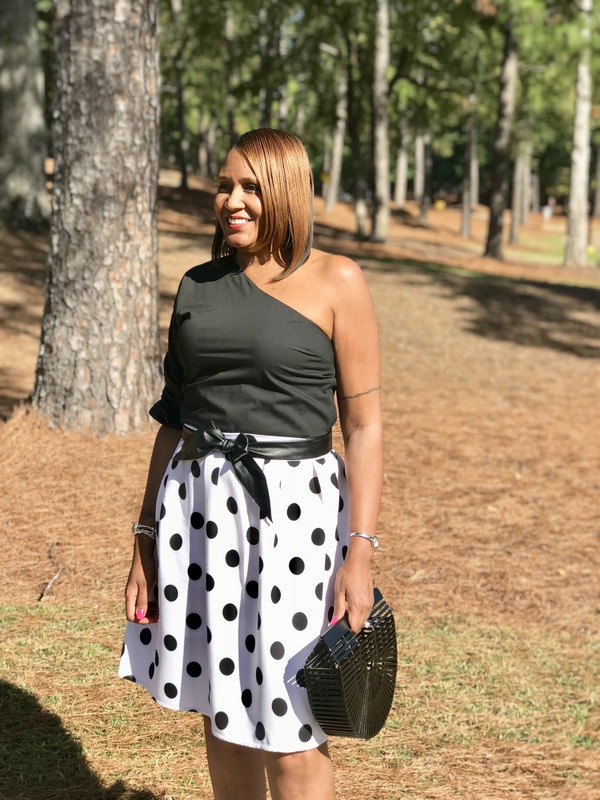 As we move closer to the end of Fall, I am still finding time to allow my shoulders to get some sun. I will seize this opportunity every chance that I get before Winter arrives here in Georgia. 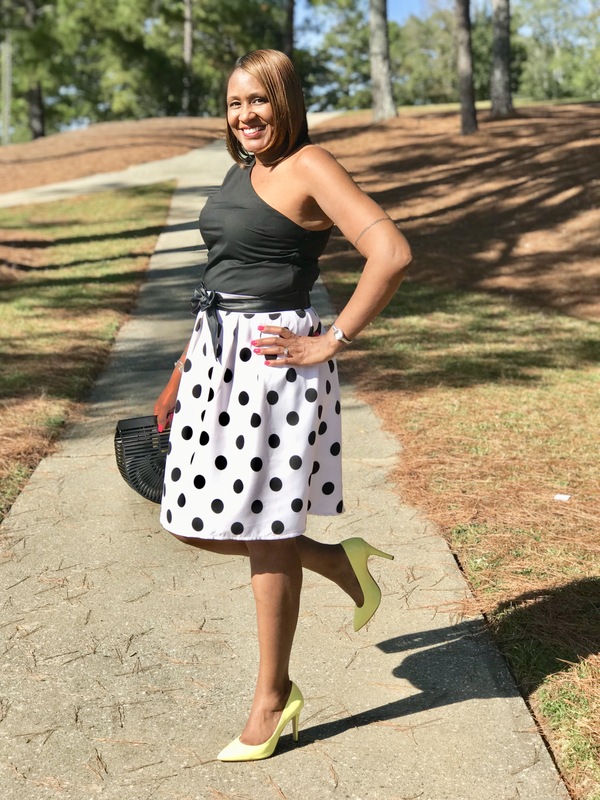 Although I will continue to wear skirts in the colder months, I lavish the chances that I get to let these long legs show. 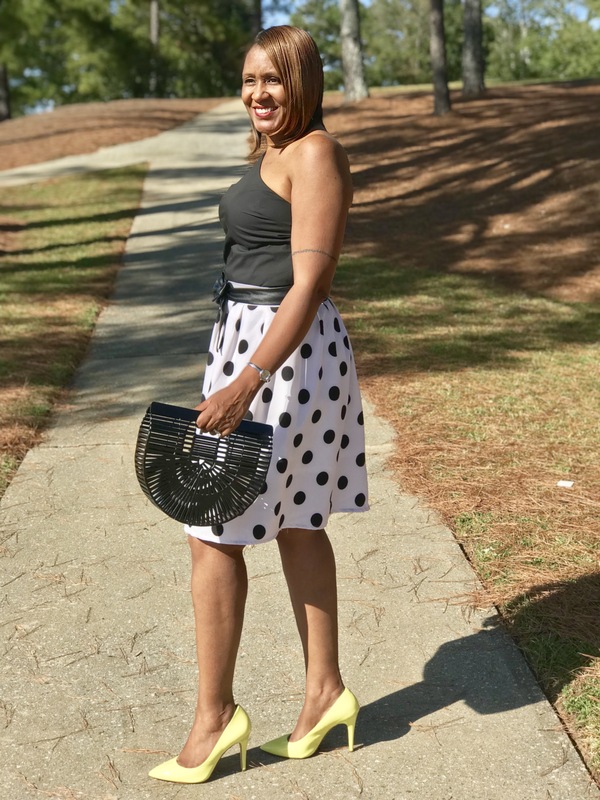 So now let me connect the dots for you, not many adults like to wear polka dots but as a fashionista, I don’t shy away from anything. 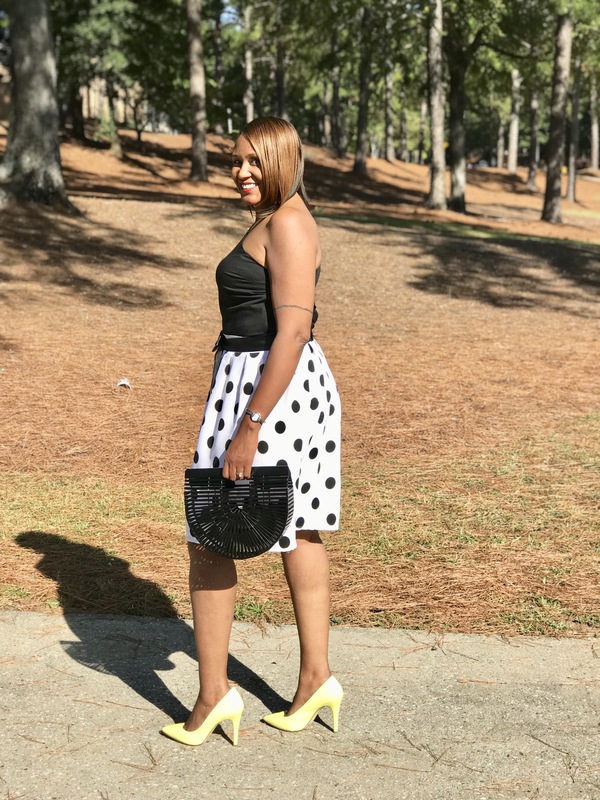 The trick to pulling off polka dots is to keep it simple. 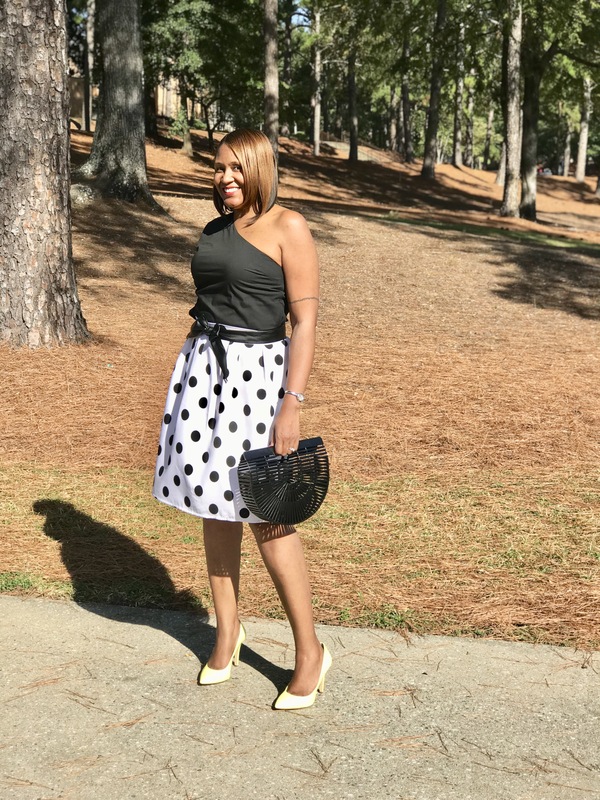 Polka dots alone can sometimes be overwhelming so you want to make sure that you don’t overdo it. You want to pair it with neutral colors. 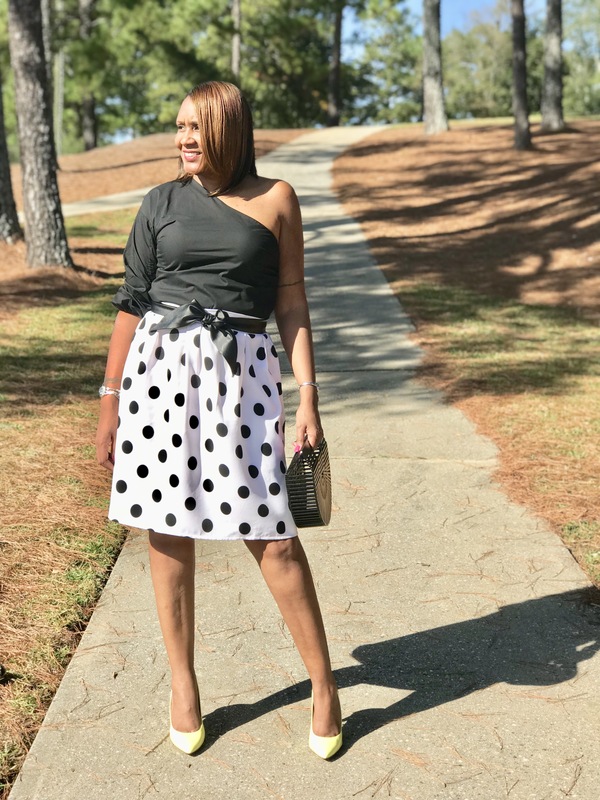 For this white skirt with black polka dots, I chose a solid black one shoulder shirt and paired it with a black bow belt and a black handbag. For a hint of color, I added a pair of yellow high heels.